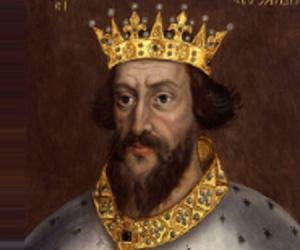 Henry I was the King of England from August 2, 1100 and Duke of Normandy from 1106 till his death. This biography profiles his childhood, family, life history, accession, rule, administration, achievements, timeline and other facts. 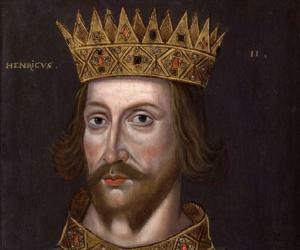 Henry I was the King of England from August 2, 1100 and Duke of Normandy from 1106 till his death. Also known as Henry Beauclerc, he was the fourth son of the first Norman King of England, William I. Following the death of William I, his eldest son Robert Curthose and third son William Rufus (William II) became Duke of Normandy and King of England respectively while Henry I remained landless. He succeeded in ascending the throne of England after William II died in a hunting accident. He came up with Charter of Liberties that claimed to terminate inconsistent taxes and confiscations of church revenues among others that were laid by William II. He made efforts in strengthening executive powers of the crown and encouraged ecclesiastical reform. He was regarded as harsh yet effective monarch by contemporaries. His marriage with Scottish princess Matilda helped build peaceful relations with the Scots. He defeated Robert in the Battle of Tinchebray and became Duke of Normandy in 1106. While Robert remained imprisoned for life, Henry I successfully combated Robert’s son, William Clito’s supporters and finally reached a peaceful settlement in 1120. He was succeeded by his nephew Stephen of Blois. Henry I was born in c. 1068 presumably in Selby in Yorkshire to William I of England and Matilda of Flanders among at least nine children. His father, also known as William the Conqueror, a descendant of Rollo, was the Duke of Normandy since 1035 whose successful invasion of England in 1066 led him to become the first Norman King of England, William I. Henry I’s mother was granddaughter of Robert II of France. Out of his three brothers Robert Curthose, William Rufus and Richard, the latter died early. While historian Judith Green mentions that he spent his early years in the Duchy, according to historians Warren Hollister and Kathleen Thompson, he mostly spent his growing years in England. Hollister also suggested that presumably the King's chancellor at Salisbury Cathedral, Bishop Osmund, was partly responsible for educating Henry I as the latter remained in the bishop’s company consistently from around 1080 to 1086. It is considered that Henry I was educated in Latin and the liberal arts. He received military training from Robert Achard and on May 24, 1086, he was knighted by his father. 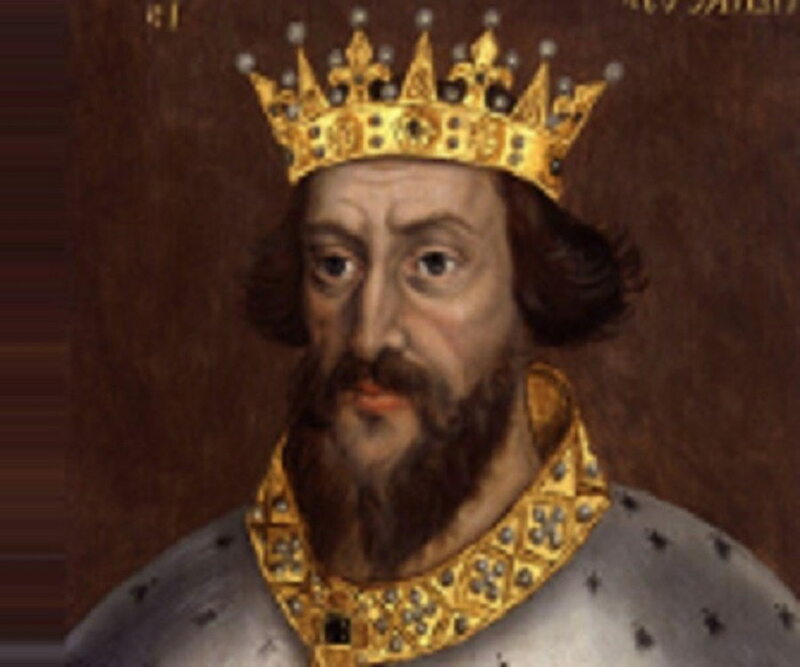 After the death of William I on September 9, 1087 his eldest son Robert Curthose inherited his patrimonial lands of Normandy and third son William Rufus (William II) inherited England that he acquired through war. &Henry I received a lump sum amount generally reported as £5,000 as inheritance sans any land from his father, however was in expectation to receive his mother’s lands in Buckinghamshire and Gloucestershire. Robert expected to receive both Duchy and England. Both Robert and William Rufus were fundamentally in disagreement with the inheritance and while the latter was crowned King of England as William II in September 1087, relation between both the brothers strained. &The ensuing years witnessed on-and-off clashes between Robert and William II including the rebellion of 1088 led by William I’s half-brothers Odo of Bayeux and Robert, Count of Mortain in favour of Robert against William II. Robert’s plan of invading England was slowly losing its ground and he was suggesting Henry I to lend him some of the inherited money. An agreement between the two saw Henry I purchase the County of Cotentin in western Normandy from Robert in 1088. However in 1091 he was deposed by Robert and William II. 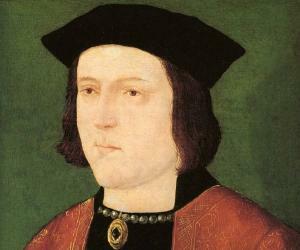 With time Henry who also went into war with his brothers strengthened his power base in western Normandy. He started distributing lands and castles to his supporters by 1094 and gradually such endeavour of Henry against Robert started getting support from William II, who started aiding him with money. On August 2, 1100, while on a hunting expedition in the New Forest accompanied by Henry, Norman nobles and huntsmen, William II was killed by an arrow that was presumably shot by Baron Walter Tirel. 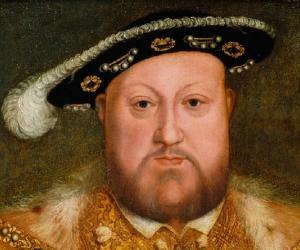 Following such incident Henry captured Winchester Castle and seized the royal treasury. After seizing the English throne, his coronation ceremony was conducted swiftly by Maurice, the Bishop of London on August 5, 1100. He issued a Charter of Liberties in line with the English convention which included several commitments. His promises included ending the policies taken by William II with regard to the Church which the clergy considered harsh and restricting the wrongful use of property rights of the barons among others. He modestly rewarded many of his existing supporters and took steps to build support and thus strengthened his new government. He made the chancellor of William II, William Giffard, the Bishop of Winchester, while imminent sheriffs namely Robert Fitzhamon, Haimo Dapifer and Urse d'Abetot carried on with their respective roles in his administration. He married Edith, daughter of King Malcom III of Scotland on November 11, 1100. He presumably met her earlier through Bishop Osmund of Salisbury. Edith was great-granddaughter of King of England Edmund Ironside and a descendant of King of Wessex Alfred the Great. A princess from the old Anglo-Saxon royal line, her marriage with Henry I helped unite the old English line and Norman line of kings thus commencing peaceful relation with the Scots. Although the Norman Barons were not happy with the marriage, it made Henry I garner increased legitimacy for his reign and support from the English populace. After becoming queen, Edith changed her name to Matilda and proved effectual in the royal role. She would address and preside over the councils and enjoy being associated with the system of royal administration. She was also a promoter of arts. The marriage produced at least two legitimate children, daughter Matilda born in 1102 and son William Adelin, born in 1103, and presumably son Richard who died young. Robert who could not assert claim to the English throne earlier due to his absence disputed Henry I’s control of England after returning from the First Crusade. Robert invaded England in 1101, however his campaign concluded when the two brothers settled the dispute diplomatically signing the ‘Treaty of Alton’ that year. The treaty saw Robert renouncing his claim to the English throne recognizing Henry I as King of England while Henry I renounced his possessions in the Duchy of Normandy except for Domfront. Henry I also consented to pay an annual stipend of £2,000 to Robert for life. They agreed that in case of death of either brother sans any heir, the other would inherit his lands. The treaty was however short-lived and Henry made his conquest to Normandy in 1105 where he had a decisive victory over Robert’s army on September 28, 1106 at the Battle of Tinchebray. This resulted in absorption of Normandy by the English throne which remained so for more than a century. Robert was captured and imprisoned first in the Devizes Castle and then in Wales’ Cardiff Castle where he died on February 3, 1134. Robert's son William Clito's claim to the honour becoming Duke of Normandy was promoted by Fulk V of Anjou, Louis VI of France and Baldwin VII of Flanders who challenged the control of Henry I over Normandy. Henry I had to defend his Normandy possession several times including defeating Louis VI in the Battle of Brémule on August 20, 1119 following which a settlement was agreed upon by the two in 1120. He proficiently manipulated the barons and lords in England in ruling the nation and punished those who went against him. He played an instrumental role in expanding the royal judicial machinery drawing from the existing Anglo-Saxon law. He also strengthened the local governance and taxes with additional central governmental institutions. 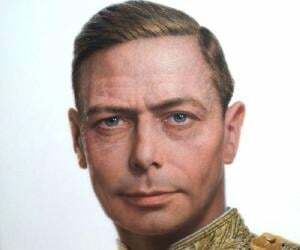 He ensured restoration of law and order in Normandy post 1106 controlling and managing via a body of Norman justices as also a system of exchequer alike the English system. Apart from his two known legitimate children, Matilda and William Adelin, Henry I had many illegitimate children through several mistresses. On November 25, 1120, William Adelin, Henry I’s only legitimate son and heir to the English throne drowned in the White Ship disaster resulting in a succession crisis. Henry’s need for a male heir led him to marry Adeliza, on January 24, 1121, however the marriage produced no children. Henry then made his daughter Empress Matilda his heir to the English throne. She was married to Henry V, King of Germany and Holy Roman Emperor, since 1114. On December 1, 1135 Henry 1 died in Saint-Denis-en-Lyons, Normandy. However following his death, his nephew Stephen of Blois seized the throne getting support from the latter’s brother, Henry of Blois, Bishop of Winchesters. Such ascension led to the inception of a civil war in England and Normandy known as ‘The Anarchy’ that lasted from 1135 and 1153 and witnessed an extensive breakdown in law and order.